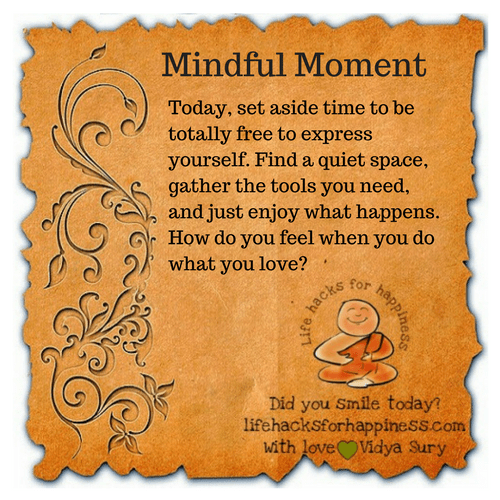 Today, set aside time to be totally free to express yourself. Find a quiet space, gather the tools you need, and just enjoy what happens. How do you feel when you do what you love?